Thank you for that Mark good to know. Hey I got a thought, when this 1.35 new threat gets released with the new version of 7th heaven will it come with all the hot fixes as well. Also should the mod need more updates when released with 7th Heaven is released how will we go about updating it, in the usual manner via an installation from you or an update via 7th heaven mod. Yes, it will come with the current flevel/scene hotfix. Whenever there is an update to a mod, the Download button will turn into a Update button the Catalog tab. The window on the ride-side will also tell you when a mod has an update. If you right-click the green Installed button in the Library tab, you can set Update Types for each of the mods. Huh, I never really knew that. Usually I just have it on update automatically. Assuming it'll just be downloading the updates whenever I run it. Thank you very much for that good to know it is done through 7th heaven makes things a lot easier. The To-Do List has been updated for now. Let me know if anything was missed. What are your thoughts on adding a drop-down selection for each music file? This would let you mix and match music files from different authors and pick what you like best. NEAT Im holding my strong urge to re-play this game.. until your new version of 7h is released.. so that i can have a better immersion.. I'l give my 2 cents on the new version when i get my hands on it.. For now.. Good Job sis EQ2Alyza.. Keep 'em coming.. I love that idea of a drop down section for the music mod good idea. Please add that thank you very much. What is the problem with the 60fps battles mod does it conflict with something else. It would be awesome if it has a refer link in the description of the song for hear it, if possible, off course. How does mod updating go? All my mods continue "Installed", however, I got the impression there are new ones and updates, at least according to the To Do. I've updated the catalog but everything continues as it was. Same. There's no update for me either. I believe the new version of 7h is not yet released.. But will be coming soon.. Although my catalog was recently updated also when i opened 7h.. hmmm.. cant tell what was changed..
As far as the todo list is concerned.. please correct me if im wrong.. because & transparent AC Avatars may or will be available when the next update comes... yey!! The Catalog hasn't been updated since December 2014. The next update will show in the Tutorial thread, not here. I am just reporting here what requests I've worked on and have ready for the next update. whoever said about previewing the music, I shouldn't think that would be that hard, excepting that you may have to use a built in music player. I imagine something like winamp would fit nicely as it doesn't have to be anything fancy. Sure, that would be a great feature if possible. We would have to do it off the records until I can get Iros to approve of it. But if it works, I'm sure I could toss it his way to see what he thinks. Loving my new play through with the fantastic graphic and audio mods! If i could request one thing, it would be an option to replace the new weapons cloud gets with the same skin as the buster sword. it hurts my heart every time i have to leave behind my old buster sword. is this possible? Hello Miss EQ2Alyza, any ETA on this mods arrival. You could add checkboxes for the next update, so you only download the field pack you want to install. Give yourself a pat on the back for all the dedication you've put into this project. You're a real workhorse, but I think you're also kind of a masochist for beta testing all the mods and maintaining the subscription all by yourself. I originally thought the whole point of 7thHeaven was so that modders could upload all the little tweaks and updates on the fly and those could then be hotfixed via individual subscriptions for each mod suite. I suppose anyone could write their own subscription on pastebin and maintain their own mega/gdrive/dropbox shared folder, but have you considered a second subscription list with a shared folder open to everyone contributing to the currently compatible mods so they could update them immediately? I guess it would be a lot more cluttered, messy, and glitchy than your current subscription layout, but it'd certainly reduce the burden of testing and updating. Maybe a tutorial for making mods compatible with 7thHeaven or making .iro a forum standard? This is the way a lot of modding communities are leaning. Frankly I think you're going to burn out converting and testing everything yourself. Now that I've looked into it, anyone should be able to do all this right now. It's not like Iros hasn't explained everything already for slow people like me. Still unless the shared directory is owned/hosted/administrated by someone who's actively involved in the modding, then it could disappear at anytime. Yes, I have thought about a 2nd subscription that is open to the public. In fact, I think it's necessary if we want to see any more advancement with 7H. 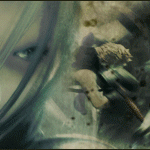 Another option is to begin uploading 7H and IRO formatted mods to the FFVII section of Nexus Mods. The one downside to having all the mods freely downloadable will be compatibility issues. Trust me, people won't read directions or already answered FAQs and we will get bombarded with "This isn't working..." type of questions. Unless you know the file structure of the mods, users will generally put mods in the wrong load order or have too many downloaded that all modify the same files (general rule is don't download more than one mod that modifies the .bin files or the flevel.lgp, and you shouldn't have many issues). Despite this issue, I still believe we should give it a go. My subscription is meant to eliminate as many frustrations as possible and make almost everything compatible with each other. I am certainly not burnt out on it. I love this game and community too much. I am just slow because I work on it by myself and I am limited to only a couple sit downs a week due to my hectic lifestyle right now. I didn't even realize there was an FFVII section in Nexus. I think it's a great idea, and would add a lot of exposure and possibly attract more modders to the other projects. You're being awful considerate of people who can't figure out the FAQ that spells everything out. I understand the qhimm community is very social, but nexus as a whole seems to just let people figure out how to get mods to work on their own, and maybe someone will answer obvious questions in the comments section about known conflicts and glitches. Usually the mod developer will only comment if the original file is corrupted or no longer functions due to an update. Also you'd basically have free reign since the section is totally empty: http://www.nexusmods.com/finalfantasy7/mods/searchresults/? I think putting all these mods and 7thheaven on nexus has the potential to make a lot more people aware there even are mods for ff7. I only found out through your youtube bootleg video.